YEPPOON and Keppel Sands Coast Guards towed two boats last week from Figtree Creek and the area around Peak Island. 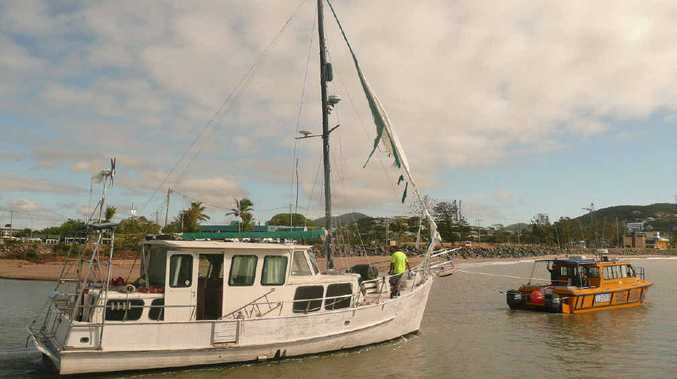 On Tuesday, the Yeppoon Coast Guard towed a boat to the ship lift in Rosslyn Bay Harbour after it suffered sail damage during Cyclone Marcia. The vessel's engine was also damaged and it was taking on water steadily. Bilge pumps connected to shore power had been keeping the vessel afloat. A portable generator was used during the tow to supply continuous power. With the entrance to Figtree Creek drying out at low tide, the operation had to coincide with high tide. The boat was successfully brought into Rosslyn Bay Harbour at 10.45am. On Wednesday, Keppel Sands Coast Guard was called to assist a motor cruiser broken down six nautical miles east of Peak Island, south of Emu Park. In calm conditions, the crew towed the boat back to Rosslyn Bay Harbour.